SALT LAKE CITY, March 29, 2017 /PRNewswire/ — Apex Family Dental, a seven office practice spread across Salt Lake, Tooele, and Davis counties, is excited to be the first Utah dentist to offer completely FREE VELscope oral cancer screenings to the community throughout the month of April. Apex believes in the importance of the fight against oral cancer, which is why they are leading the way in raising awareness and diagnoses within their community. April is Oral Cancer Awareness month across the country. Although oral cancer only accounts for approximately 3% of all cancer cases, there are still estimated to be over 45,000 Americans diagnosed this year. Because oral cancer is often detected at a late stage, only 60% of newly diagnosed people live longer than 5 years. Regularly scheduled preventative check-ups allow your dentist the opportunity to diagnose more serious health concerns, such as oral cancer. Most dentists are able to do a quick oral examination of the tissues in your mouth to look for any noticeable cancerous growth or damage. Like all cancers, early detection is crucial for a successful recovery, and unfortunately, a simple visual check can often miss developing issues. 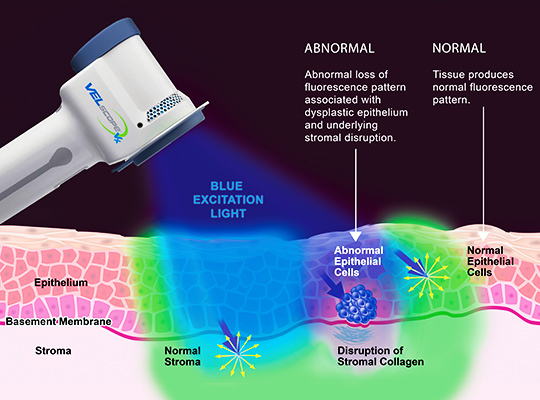 That is why Apex Dental’s trained staff takes advantage of the VELscope Oral Assessment System, a state-of-the-art tool utilizing harmless blue light to detect distinct patterns of healthy and unhealthy tissues. 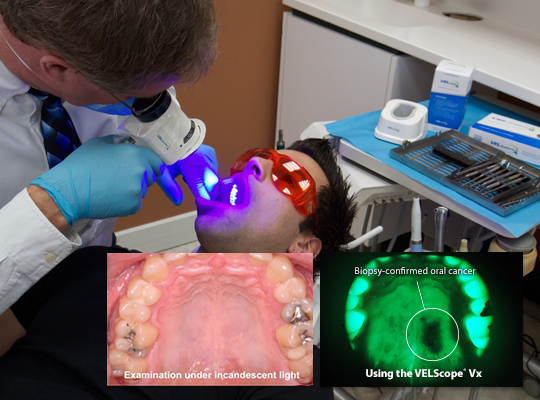 The VELscope screening is both quick and painless and can be easily fit into your routine dental exam and cleaning. Two-time Best of State Winner Apex Dental provides full-service family and cosmetic dentistry to Utah residents across 7 locations in Salt Lake, Tooele, and Davis counties. They also offer orthodontics from their offices in Sandy and Clearfield Utah. With an emphasis on comfort and convenience, the latest dental technology, and a patient-focused practice, Apex Dental has continued to raise the bar for exceptional dental service across Utah. With offices in Sandy, Riverton, Murray, Draper, Stansbury Park, and Clearfield Utah, Apex has a convenient office location no matter where you live.